Concerned about the way your heating system is running? 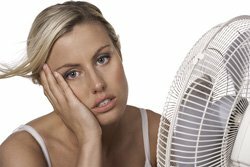 Need to get your air conditioning repaired as soon as possible? Call Ozono Air today for 24 hour emergency services! We are here to take care of all your heating and air conditioning emergencies. As an Orlando air conditioning and heating company, we make sure your commercial or residential HVAC system is running smoothly. Whether you need to install a brand new HVAC system or need minor repairs, our servicemen are here to help. Our goal is to make sure your home or business is comfortable again, working hard to find a fast solution to all your HVAC problems. If you need emergency services today, contact Ozono Air at (407) 240-1199.